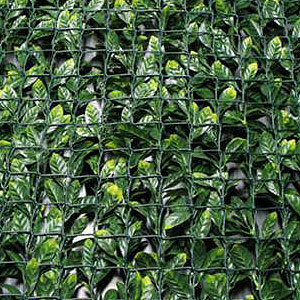 Synthetic hedge with realistic HDPE leaves. 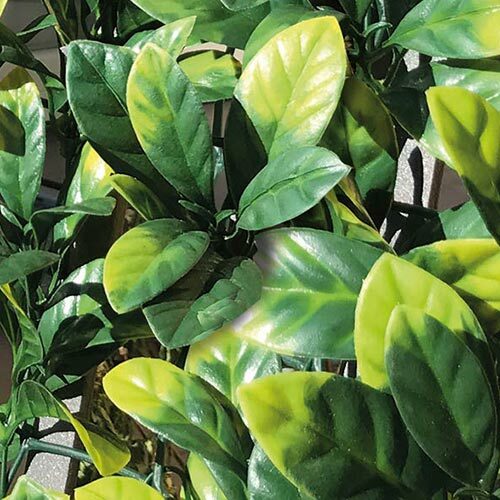 The full luxuriant 3D leaves reproduce the colouration of a natural hedge, making it beautiful to look at from every angle. 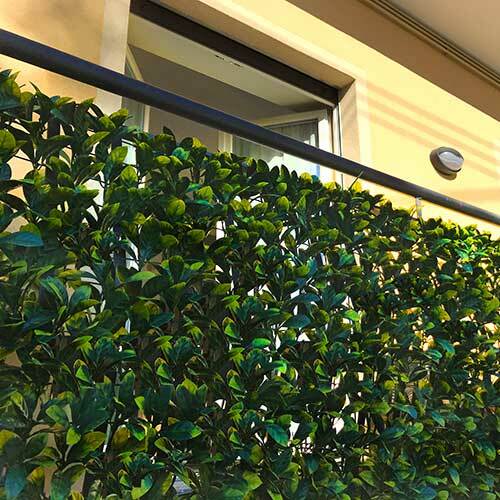 Innovation in the market: for the first time, the leaves are installed on a net to simplify the installation of the product and make it more resistant.